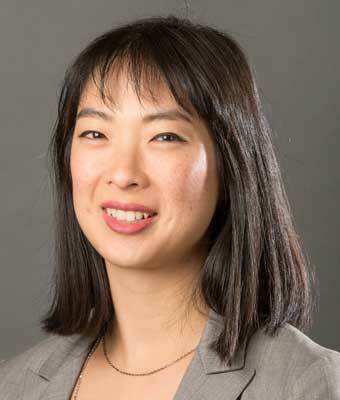 Jocelyn Chen Wise, Project Director at the Fuqua Center for Late-Life Depression, received her Master’s in Public Health and Master’s in Social Work from the University of California, Los Angeles in 2010. Both her public health and social work training were specialized in work with older adults. Her mental health training included work in a variety of settings, including outpatient geriatric psychiatry, nursing home, and hospice. During her training, she was a Geriatric Social Work Education Consortium (GSWEC) Scholar and recipient of a Health Resources and Services Administration (HRSA) Fellowship for her work with older adults. As Project Director, Jocelyn’s work has focused on innovative programs that bring mental health care and geriatric expertise to vulnerable populations in housing settings. As a licensed clinical social worker, Jocelyn also works in the Emory psychiatry outpatient clinic to provide education and brief counseling to patients and families navigating mental health and aging resources. Jocelyn has collaborated with the Emory Alzheimer’s Disease Research Center and the Emory Movement Disorders Program in their patient/family education and support groups.